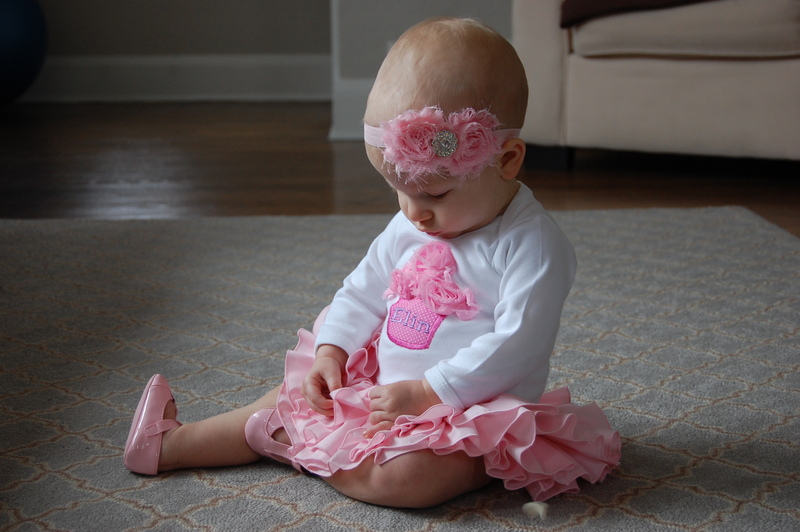 My daughter turned 1 a few months ago. 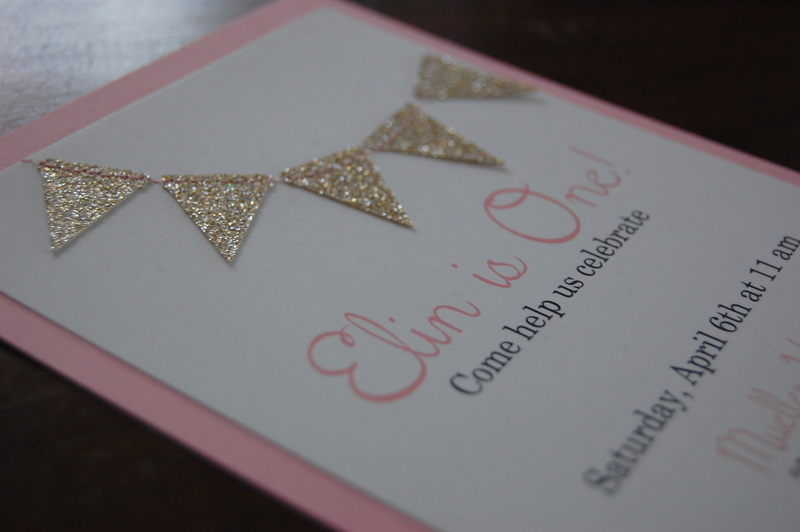 I knew that I wanted to make her first birthday special, but wanted to keep it simple so I could focus on her big day and not be overwhelmed with all of the details. I ordered a few wonderful decorations on etsy and kept the menu easy with food that both adults and kids would love. Invitation from Penelope and Lala. 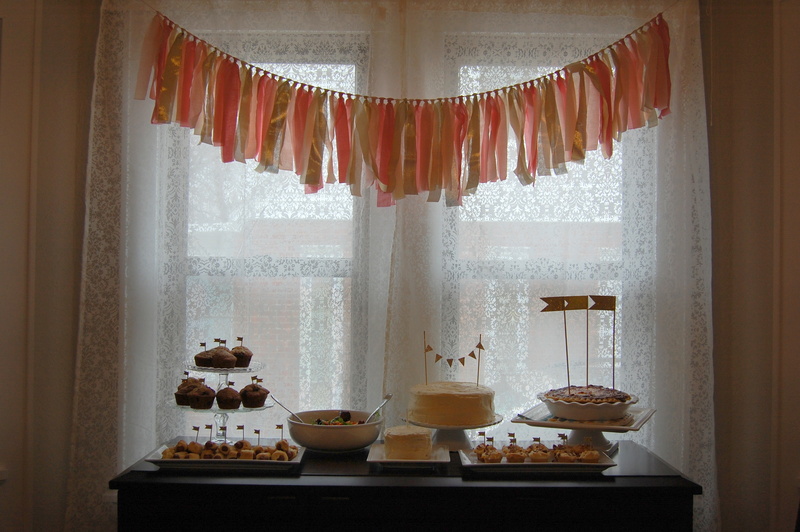 I set up a simple buffet table and added little gold flags and bunting. The rag garland was also a beautiful touch and stayed hung in my living room for weeks after the party. Rag garland and flags also from Penelope and Lala. 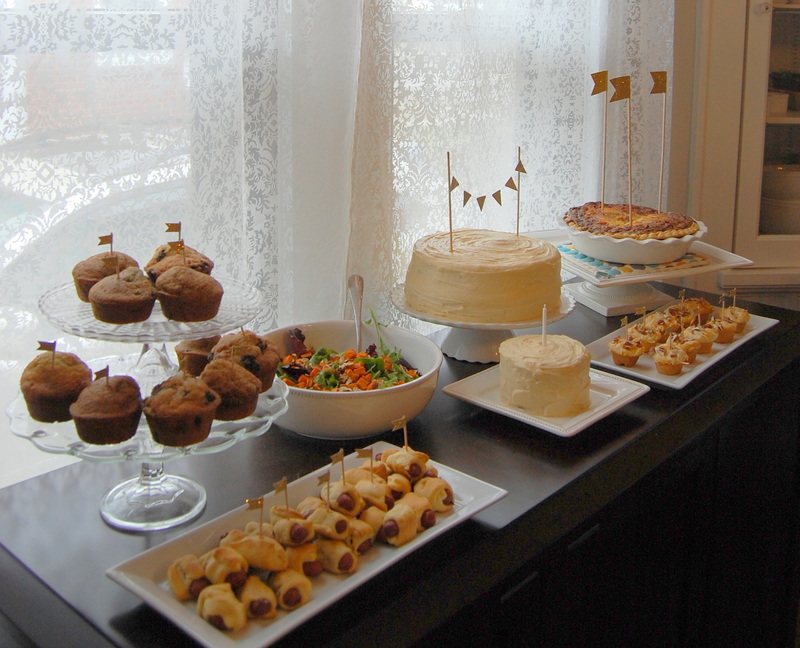 We served a variety of muffins, pigs in a blanket, bacon and broccoli quiche, apricot and cheese crescent bites, and a salad topped with barley and roasted sweet potatoes (elin’s favorite). 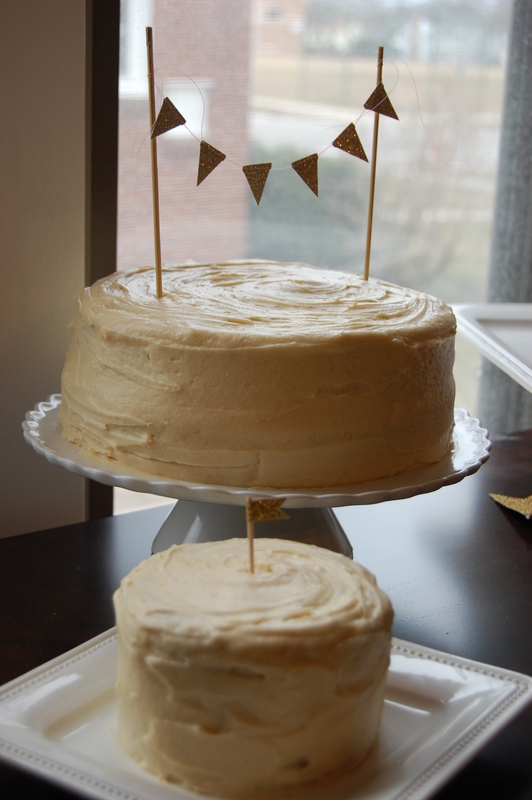 We served caramel cake with salted caramel icing along with a mini smash cake for Miss Elin. 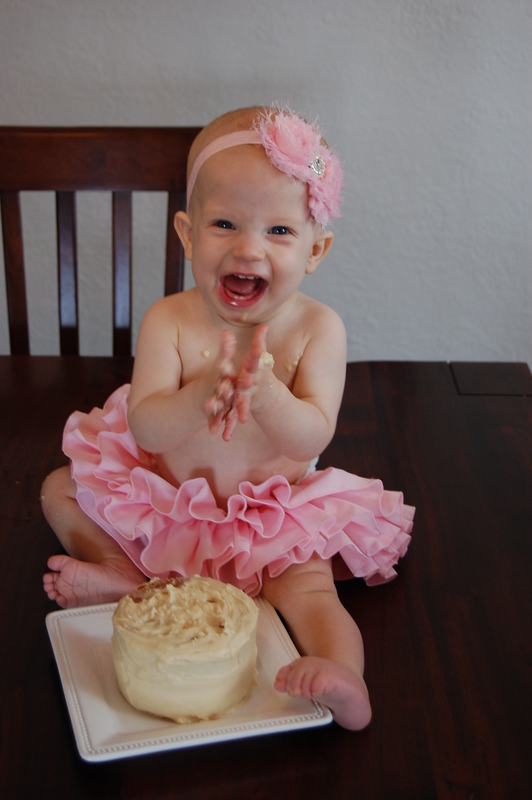 Everyone had a blast and Elin especially loved her first taste of cake. Happy Birthday Sweet Elin! We love you so much! So sweet. 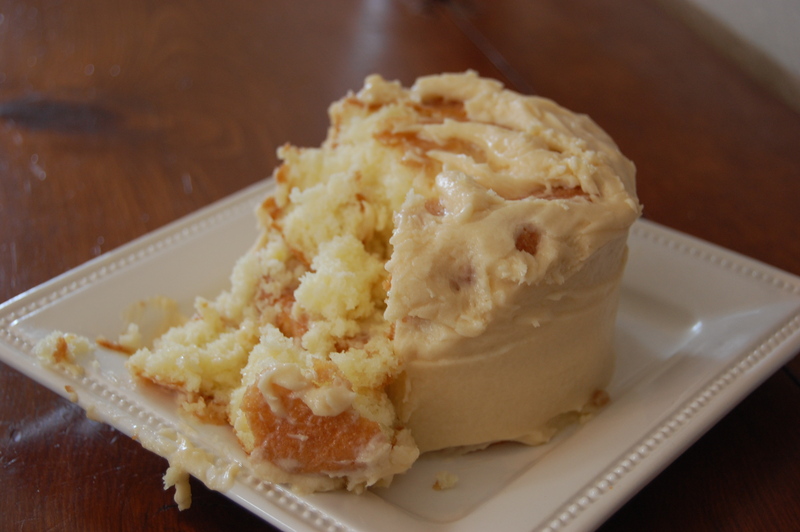 Can you post the recipe for the salted caramel cake/frosting, please? Of Course! I used the same recipe as my salted caramel cupcakes shown here: https://hauteapplepie.com/2013/04/11/salted-caramel-cupcakes/ Just add 5-10 extra minutes of baking time for the cakes.